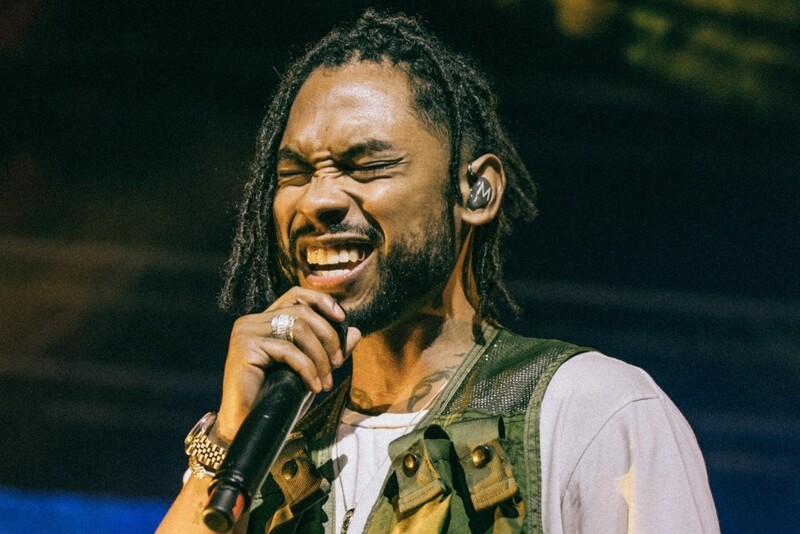 The Grammy award-winning soul artist Miguel released his fourth album “War and Leisure” on Dec. 1 and it has taken the music industry by storm. Miguel first came into the spotlight in 2010 when he released his solo single, “Sure Thing.” As a breakout artist of the 2010 R&B stars, he rose to stardom when he released his single, “Adorn,” which climbed the charts worldwide. The energy surrounding the album is exactly why he chose the title, “War and Leisure.” In an interview with Forbes Magazine, Miguel said, “That’s 2017, it just feels like at every point we’re being pulled in these two different directions and being in the middle and looking out and wanting to be aware. But, at the same time, be in the moment.” Being an artist who is known worldwide, he states that his new album is where he voices his opinion on different issues that have people stuck in the middle with no clue in which direction to head. Miguel’s feelings about certain issues were released in the song, “Now.” On that track, Miguel speaks out about the overwhelming amount of issues the world is currently facing. Recording this track early on in the project gave Miguel the opportunity to continue going into specifics in later tracks. In “Now” he specified his stance on certain issues, which allowed for Miguel to feel comfortable enough to do it again in his other songs. The theme of speaking out continues on the track, “Pineapple Skies.” In the song, he mentions an issue that is in the hot seat within society. The verse reads, “(Girl) M16 on my lap (on my lap)/ Korean missiles in the sky/ No matter where I go on the map (on the map).” When he says Korean missiles in the sky, we can all agree he is touching upon the controversies the United States and North Korea are facing right now. This 12-track album is full of different surprises where Miguel exercises his impressive vocals and range. He also adds different features from people like J. Cole, Travis Scott, Quin, Rick Ross and Salaam Remi. This album places the listener in the middle of two roads going in opposite directions where the center is in between music and politics. Miguel’s energy in this album creates a uniquely crafted masterpiece. To listen to “War and Leisure” in full, it is available to stream on Apple Music, Spotify, YouTube and Tidal.